On a sunny Sunday afternoon, a hundred members of the Rolls Royce 20 Ghost and Napier Heritage Clubs held an event at The Academy. 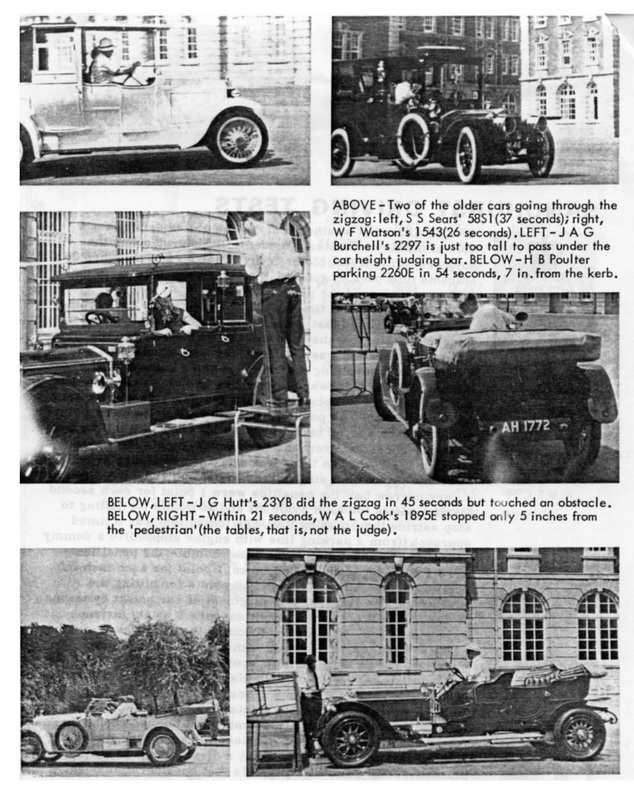 Over thirty cars, the oldest 116 years old, were put through their paces in manoeuvre tests, including one where the blindfolded driver relied on directions from the passenger - resulting in at least one husband and wife domestic! The winners received bottles of RMAS Champagne and the Commandant’s wife, Mrs Lu Nanson, presented the light-hearted prize for ‘the car she would most like to be driven home in’. The 20 Ghost club was, for many years, a regular visitor to RMAS as seen from this article from 1964. It is hoped that after such a successful afternoon, they will return next year.